Phew! Our Classroom Services department has been B-U-S-Y these last few months! It has been great to brainstorm with so many teachers, curriculum leaders, and librarians on how to find the best classroom materials for their school’s specific needs. One request that seemed to be very common this spring was the need for procedural texts. I’m happy to say that we’ve had several publishers come out with strong series that would be a great addition for educators looking to fill this void in their collection. One of my favorites is the Step-by-Step Projects series by Rourke Educational Media. These books targeted for grades K-3 give clear instructions taking kids from the beginning of a project to the end in a way that is fun and easy to understand. 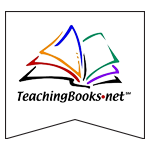 The best part is that embedded within each book is everything a teacher needs for before and after reading comprehension and extension activities along with vocabulary terms and a photo glossary. It doesn’t get much easier than that! Another series, especially great for beginning readers, is the Step-by-Step Transformations series by Cavendish Square Publishing. With simple sentence structure and large font size, these books are perfect for students at lower reading levels but with content that is high-interest enough for all primary students to enjoy. Lastly, the Start to Finish: Sports Gear series by Lerner Classroom is another great option for high-interest procedural text. These books take common objects used in the sports world and explain how they’re made. Each page is a new step along the journey making it very clear and concise for readers. How to Start a Lemonade Stand, by Anastasia Suen. 9781634304566. 2016. Gr K-3. How to Grow a Garden, by Tom Greve. 9781634304528. 2016. Gr K-3. From Wood to Baseball Bat, by Robin Nelson. 9781467745611. 2015. Gr. K-3. Blog post by Lisa K.